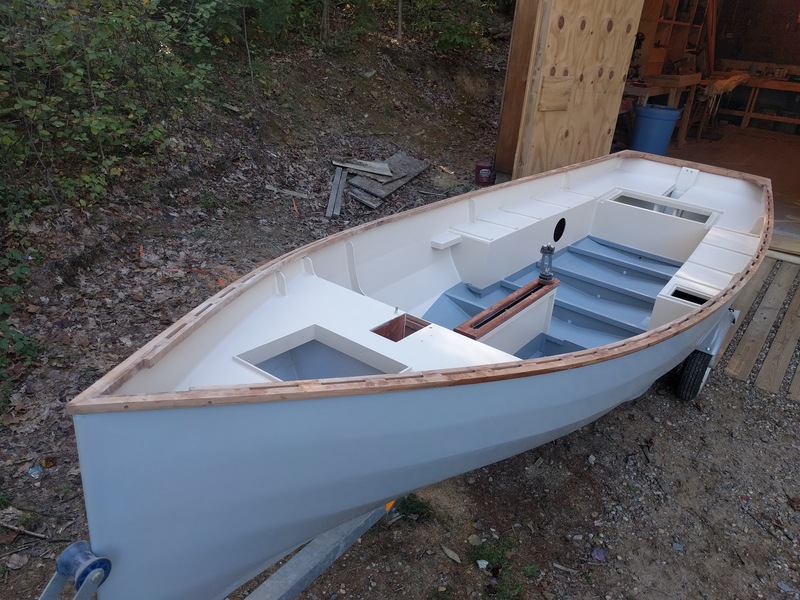 Not much to say on the topic other than I mostly finished up the interior painting this afternoon. 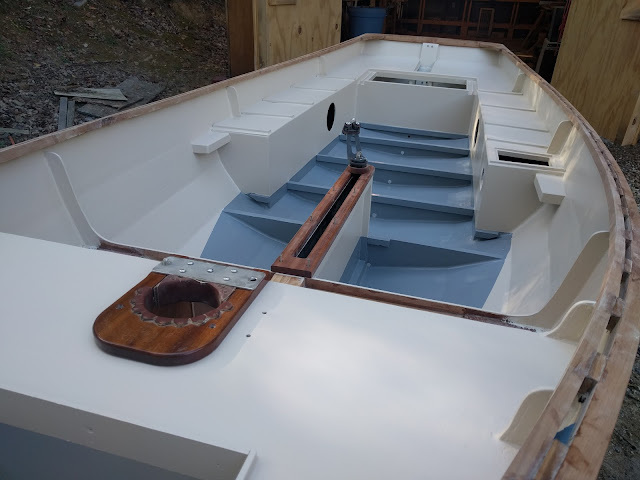 I used grey bilge paint in the areas that will be covered by floorboards and and put two coats of white primer followed by two coats of Kirby's Marine Paint (#32 Sand, low lustre). 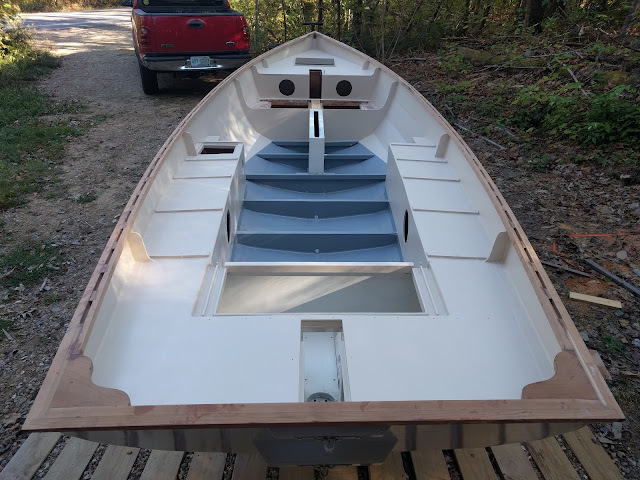 I hadn't planned on using Kirby's, but I have heard a lot of people saying good things about the paint so I checked out their site and found that their prices were right in line with Brightside Polyurethane and the color range was much wider, so I ordered a free color chart. Computer monitors tend to change the color a bit, so I try to always get something real and in person if possible to see it in natural light. 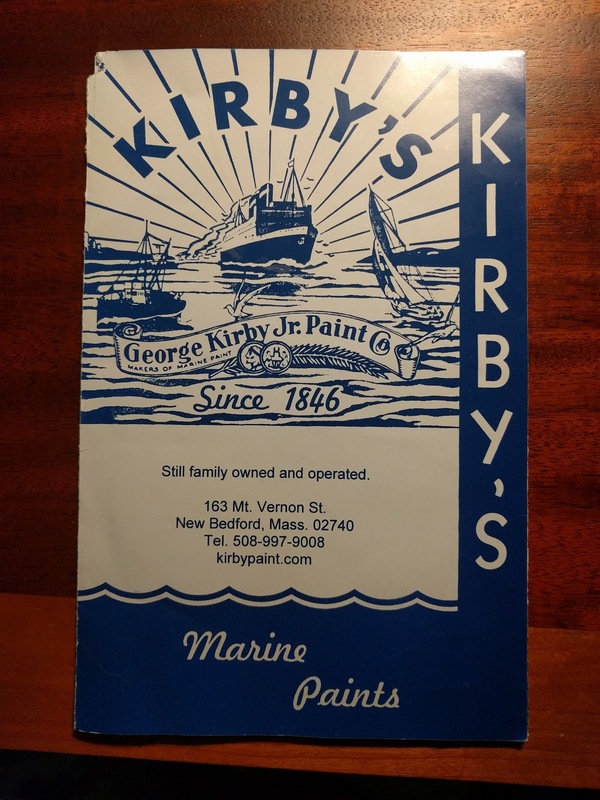 Two days later I received the color chart in the mail along with a hand written note from George Kirby Junior thanking me for my inquiry and that he hoped we could do business in the future. You don't get personal service like that very often anymore, so I thought I'd give it a try. 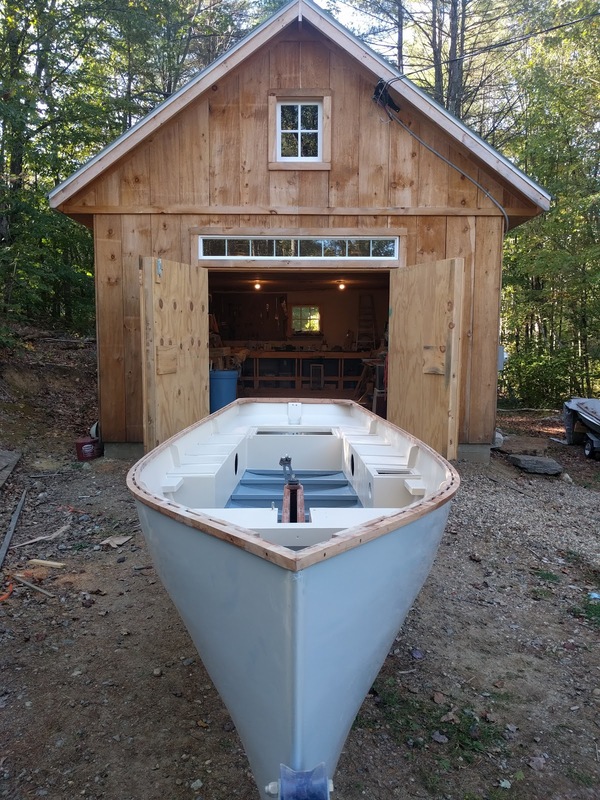 It didn't hurt that their shop is in New Bedford, MA which is just a few hours away and shipping usually only takes a day. 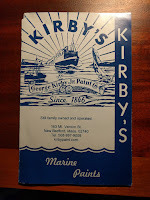 I won't go into the details of painting because it's about as much fun as watching paint dry, but I will say that I really liked the flow and coverage characteristics of the Kirby paint much better than some other paints I have tried and it smelled very different, more like turpentine or something old time-y, rather than made in a giant factory somewhere. We'll see how it holds up, but so far so good.